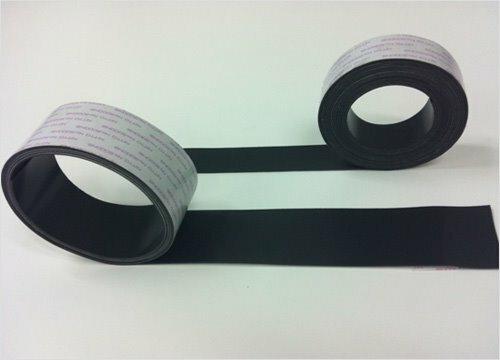 AGV Magnetic Guide Tape/Magnetic Tape | SIMOTEC (THAILAND) CO., LTD.
AGV Magnetic tape, magnet used for a magnetic guide sensor, is fixed to travel routes. An AGV (Automatic Guided Vehicle) is essential to ensure production and transportation efficiency at your plant. You may require to change the layout of the magnetic guide tape when changing the layout of the production site. If using an AGV made in Japan, you need to procure the magnetic guide rail recommended by the maker in Japan, which increases the cost. Cannot research the spec of the magnetic guide tape. other company, as the spec is not clear. 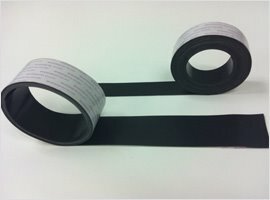 the magnetic guide tape recommended by the AGV maker. SIMOTEC helps you with VE (Value Engineering)! SIMOTEC researches the spec of the magnet guide tape in use at your local plant, and can supply a suitable magnetic guide tape in Thailand according to the spec of the AGV's magnetic sensor and the distance between the ground and the magnetic sensor. Due to its softness, AGV Magnetic tape has high flexibility and can be cut easily to fit any travel route. We can change the magnetic direction on a custom-made basis, to meet your particular requirement.